Meet the man behind the allegedly insider trades. 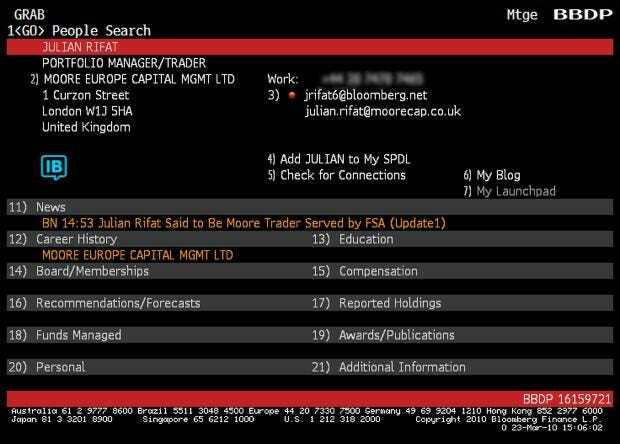 Here’s a grab of Julian Rifat’s official Bloomberg profile, which will no doubt disappear sooner than later. We also found his profile on the FSA’s official website and (possibly) his Amazon Wish List.